Top-quality performance for everyday use. Rubber cover and nylon windings. Wide channels for easy handling. Top-quality performance from a rubber basketball. Wide channels. Great Basketball has a good bounce and a good grip. 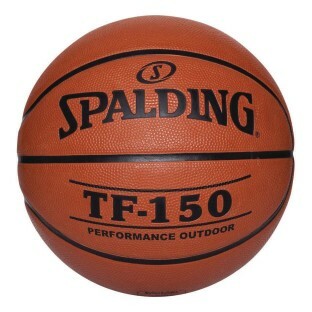 I used this basketball for my basketball camp. Very durable with good bounce and good grip. As I started to say up column as hard as my student treat the balls it is very sturdy and comfortable to handle. I really can not say anything bad about this product because the last ones I bought has lasted my program it's either been 5-6 years. Last a good amount of time considering they are used outdoors in a climate with high heat. Needed some balls that were a little bigger than I had and these made the boys happier. The male inmates used the Basketballs in tournament play and every day activities for recreation time. These Basketballs stand up to an amazing amount of abuse and recreational use by the residents and are a good buy for the amount spent.